Here at Capture Creative Design we have a great understanding for delivering practical, innovative, and effective ideas that speak volumes. We thrive on making the process of graphic design, web design, layout, and printing easy for you. We spend the time with you, taking your ideas and vision into account. We advise you on our recommendations and maintain the connection between development and client, giving you peace of mind and allowing your time and money to go the full distance. 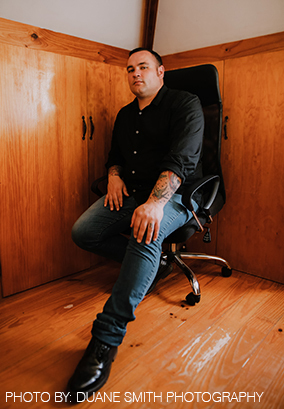 Capture Creative was founded in 2010 by Ashley De Beer, as an extension of his artistic background in the music industry. It was an idea that would combine Ashley's skills and insight of design with his years of experience in the mining industry, thus becoming more corporately driven. "It's a great help to work with customers on their ideas when you actually have product and industry knowledge. It streamlines the whole thought process for both designer and client", explains Ashley. Based in Benoni - Gauteng, Capture Creative Design takes pride in delivering quality work, whether it be through Graphic design, Web design, or Printing. Our work is what makes or breaks a deal for us. We understand this, and exert every effort to staying at the top of our game. Our design skills have crafted work ranging from the corporate industry over to the spectrum of music and arts. The diversity in our design speaks for itself when you page through our portfolio. We put our hearts into our passion, placing the "made with love" stamp on everything we deliver.